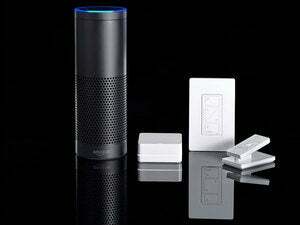 Most of these features will roll out over the next few months. 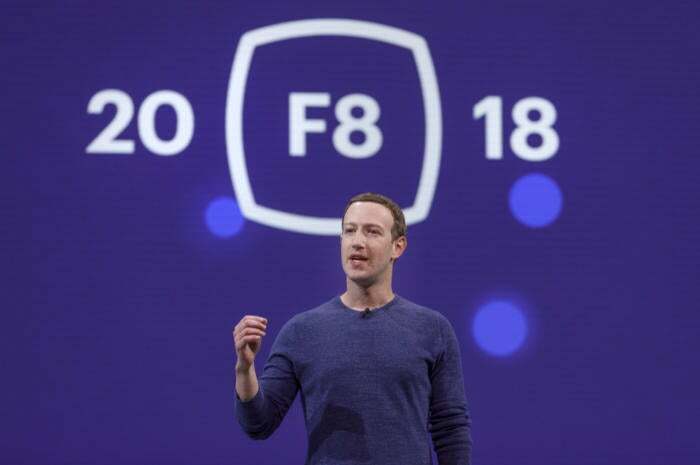 Facebook returned to its roots at the F8 developer conference on Monday, announcing several new features designed to connect its user base, rather than worry them about how much data it was slurping up. 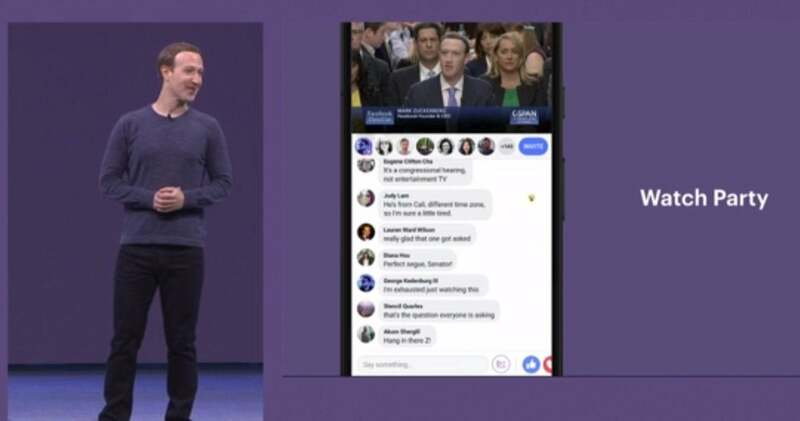 Several new features were announced, including Watch Party, Instagram video chat, and even a Facebook Dating app. Watch out, Tinder. Note: On the hardware front, the Oculus Go standalone mobile VR headset is now available worldwide for $199 on Amazon. Dating? On Facebook? You could say...it’s complicated. 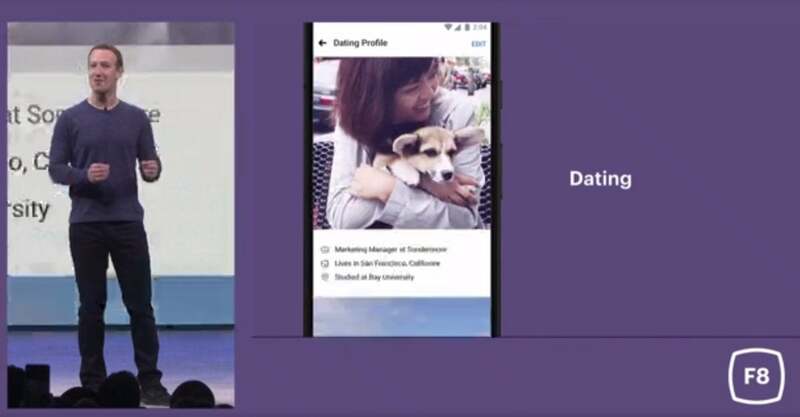 Facebook wants to establish a platform for “long-term relationships” by letting you find your next ex on its platform, Facebook execs told developers at F8. With Facebook Dating, you’ll create a totally separate profile that’s not visible to your friends. And how will it let you do this? “People will be able to create a dating profile that is separate from their Facebook profile—and potential matches will be recommended based on dating preferences, things in common, and mutual friends,” according to Facebook. That means that Facebook is going to take all those likes for obscure bands that you probably don’t like any more and use them to find you your next life partner. At least it will just use your first name. Did we mention that it needs data to do that? You can follow the stock price of Tinder parent Match Group as it falls off a cliff. “Let’s say that your friend is testifying before Congress.” Zuckerberg introduced Watch Party—a way of importing a video stream into Facebook, and then organizing a chat room around it—with a big grin, implying that answering questions from the nation’s lawmakers was just another mildly embarrassing event that was overshared. Can’t make it over to a friend’s house? Watch it over the Internet! Collectively watching movies online has been tried in the past but Facebook might have the reach to finally pull it off. But remember when livestreaming a video on Facebook was a thing? Will that be replaced with Watch Party? Facebook has always dragged its heels on letting you escape its clutches. 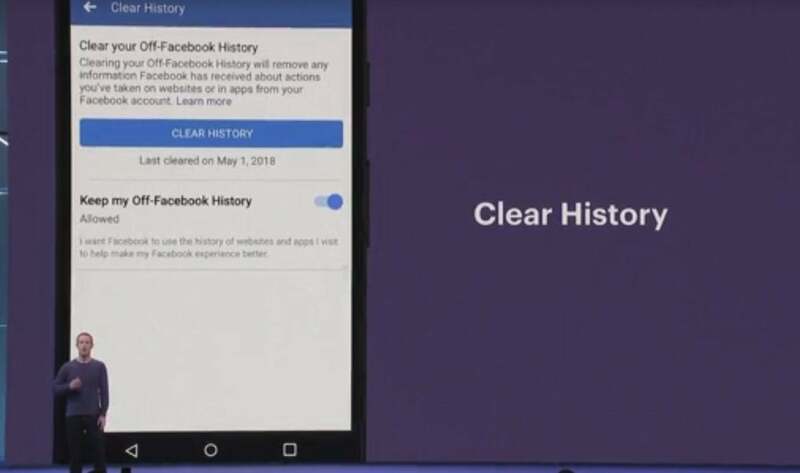 While Microsoft offers numerous privacy controls to minimize its data use, Facebook said “it’s building” a tool called Clear History, which will allow you to be able to see what data Facebook has collected from apps and websites, and allow you to purge it, too. Zuckerberg warned users that Facebook “won’t be as good” without that additional data, but at least you’ll have better control over what’s being shared. How easy will the Clear History feature be to find, we wonder? Naturally, Facebook will still provide apps and websites with aggregated analytics. “We can do this without storing the information in a way that’s associated with your account,” Facebook said. Okay then. Clear History is due in next few months, most likely after all the criticism of Facebook’s privacy practices has simmered down. Many people don’t realize that Instagram is owned by Facebook, which is probably why Messenger-style video chats are coming to Instagram. At 2017’s F8 conference, Facebook announced its AR camera platform. With AR Studio creators will be able to design face filters and world effects and share them to their IG followers. After you’ve launched video and voice calling, where do you go from there? Group calling will be coming to WhatsApp in the “months ahead,” Facebook said. 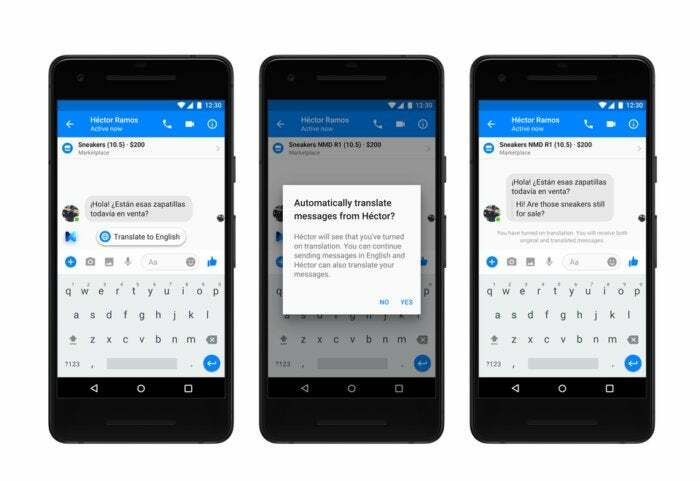 Facebook used to use Microsoft Bing for translations, but now it’s going to use its own M Translations engine via the Marketplace feature. It’s just Spanish-to-English for now, but Facebook hopes to add more in the future. Since the "M" stands for Messenger, it should arrive on Messenger over time. Facebook Translations cover just English to Spanish, for now. Remember when Mark Zuckerberg virtually toured Puerto Rico, strolling through scenes of destruction? Now you’ll have a chance to contribute those scenes as they happen! In all seriousness, this last feature does have some utility, as crowdsourced footage has become an invaluable way of reporting on events in real time. The “Crisis Response” feature will be rolling out later this year, as a way of sharing information ranging from road closures to real time outages. Correction: Facebook's Translations will be initially called M Translations. This story, "8 big changes coming to Facebook: Dating, Clear History, Instagram AR, and more" was originally published by PCWorld.